1) “The Witcher”. In this opening short story we get to meet Geralt for the first time as he’s answering a proclamation to hunt down a monster, specifically a striga. But there’s a problem. You see the striga is actually the king’s daughter and he doesn’t want her dead, but the curse broken which is a significantly more difficult task. Complicating matters even further are a group of wise men who, for political matters, want the princess killed… Overall, “The Witcher” is a memorable introduction to Geralt, his profession, and the world he inhabits. A world that seems to be an amalgamation of Grimm’s Fairy Tales, peopled by nobles, knights, peasantry, elves, dwarves, and every monster imaginable—basilisks, dragons, vodniks, kobolds, spriggans, vampires, werewolves, manticores, wyverns, foglers, aeschnas, ilyocoris, kikimoras, chimeras, ghouls, vyppers, et cetera. 2) “A Grain of Truth”. Geralt stumbles upon a couple of corpses in the forest and decides to investigate. What he discovers is a manor house lorded over by a monster. Or is it? Like “The Witcher”, everything is not quite as it seems and the true monster is yet to be revealed… In this short, readers get a greater glimpse at the satirical humor that permeates much of Sapkowski’s work in this collection, including the author’s twisting of fairy tale conventions, which in this case seems to be Beauty and the Beast. 4) “A Question of Price”. Another standout, Geralt attends a banquet disguised as a noble. Why the need for subterfuge and what he’s being hired for is all part of the mystery, but it involves a princess, an alliance between two nations, and the Law of Surprise which states that a man who saves another can demand a seemingly impossible wish… Full of shocks and surprises, “A Question of Price” is clever and fun. Connecting together these six short stories is a seven-part framework that opens, closes and bridges the collection. Titled “The Voice of Reason”, this framework is set in one of Melitele’s temples where the witcher is recovering from a deadly wound that was acquired at the end of “The Witcher” short story. While this framework examines Geralt’s motivations and ethics a little bit, “The Voice of Reason” basically acts as a lead-in to the six different short stories. I'm unsure if I will pick this one up. I have read very similar reviews and none have inspired me to rush out and grab it. In the end i might, just to read something non-American/Canadian/Britsh etc...One of the reasons i enjoy the Night Watch series is because of its Russian setting. Anyway, another great review Robert. I just re-read it yesterday, since I ordered the second collection (in Spanish), La espada del destino. What I believe is happening in those stories is that Sapkowski is playing off of expectations for what would constitute black/white fantasy characters, written during a time (the mid-80s) in which the Polish political climate wasn't exactly favorable for straightforward commentaries. Also, from what I understand, these stories are just introductory short adventures that were later expanded into a five-volume novel series that goes much further in depth and that it is there where much of Sapkowski's popularity with Polish, Russian, Czech, and Spanish readers lies. From what I understand, the story arc that unfolds in Blood of the Elves depends upon stories that occur in La espada del destino (The Sword of Destiny), not to mention that Geralt's relationship with Yennefer will be expanded greatly in those stories and novels. OH! I wrote to Orbit about the book, but no answer. Hopefully they respond and I get a dream come true. Excellent review and you just captured my soul as I love Grimm's fairy tales and this mixed with Castlevania. The goodness! I have to tell you that there were cartoons on Grimm's tales and they showed the more sinister bloody version of the tales. Loved that! Uros, thanks! Hopefully you'll get to the book at some point. I gotta admit that I put this down after reading a few stories and haven't managed to feel the need to pick it up again. It was a nice setting and well written but lacked the punch needed to drive me from one story to the next. So pleasant but not addictive. I enjoyed the book, and as always, nice review Robert. I'll be posting mine in a few days. I have just now finished The Last Wish and maybe i missed something, becasuse i have no idea what happened at the very end. 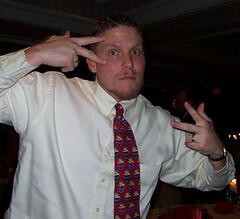 If any of you know of a seperate sight with a discussion board or something that culd explain please let me know. Besides that i loved this book. the voice of reason chapters really pulled these short stories into a book for me and i really enjoyed the world and the characters. I want to say that I have read whole article very carefully and I agree with the summary, but you should know, that 'The Last Wish' was author's debut. It's a group of stories which was published by Polish fantasy magazine "Nowa Fantastyka" (New Fantasy). The main story is presented in 5 books cycle - Blood of Elves, Time of Contempt, Baptism of Fire, Swallow's Tower, Lady's Lake (it’s my own translation) and those inspired the game creator's. Sapkowski's books couldn't be fully understanded by foreigner as it has multiple connections to Polish politics and history, but the main setting was build on Arthurian's Legends and Polish pagan beliefs. I think that it's a masterpiece, because whole cycle from beginning to the end was filled with thousands of connotations to the further and former events. It's incredible, because when we read it second or third time we'll still find something new and information we already have gathered let us understand second or third bottom and lots of things that we missed are getting revealed showing us something new. Another positive is a large variety of characters, my favorite is a vampire Regis, who is very colorful personality. In addition there are shown many political intrigue's, funny coincidences and many others which made that book my favorite. I want to apologize for many mistakes I've probably made, but I haven't completed my English language education yet. To avoid misunderstood I want to say that I've read those books in native (Polish) language. The problem with Sapkowski's Last wish is simple, the book is freaking old. It was realised in Poland back in 90's ! It is hard to expect the book to fully entertain modern people since we have been fed with many newer stories of that kind. The reviewr mentioned Shreck (which is waaay newer) to explain what feeling one may have while readin The Last Wish which kinde proves my point. 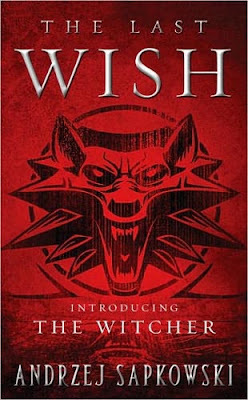 Anyway, Last Wish is the very first book writen by Sapkowski, Sword of Destiny (onother compilation of short stories) is a little better and the Witcher Saga (Blood of Elves, Time of Contempt,Baptism of Fire, Tower of Swallow, Lady of the Lake) is a masterpiece willed with references to many more and less famous legends, fairy tales and RL history.